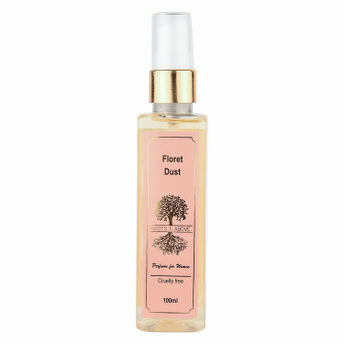 Roots and Above Ayurvedic Smokey Trail Perfume is crafted for vibrant and energetic woman. This strong and casual fragrance elevates your mood. You feel fresh and active in an instant. This long lasting perfume lingers around you and keeps you fresh for all day long. Made with natural ingredients, does not contain any synthetic ingredient. Keep the unwanted body odor at bay and smell good every moment with Roots and Above Ayurvedic Smokey Trail Perfume for Women.